Behold, the long anticipated and highly requested Deployer v2! The ARK Deployer has been completely updated and is now compatible with the new ARK Core v2 codebase. 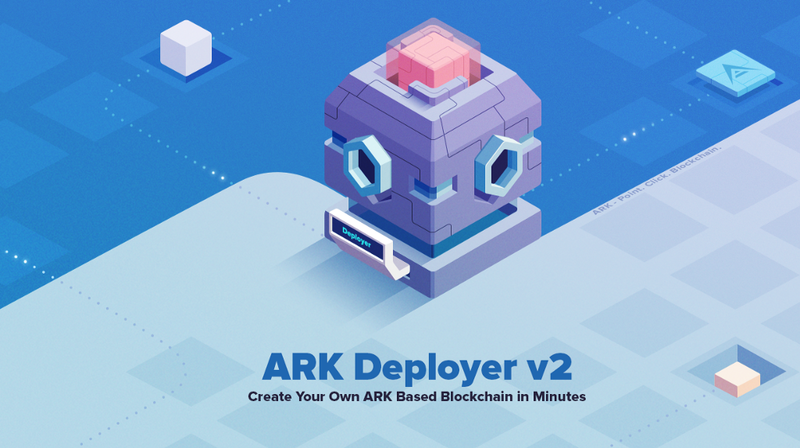 To those unfamiliar with the ARK Deployer, its primary purpose is to help you quickly create your own blockchain by following simple instructions using the Deployer CLI. With some basic technical knowledge you can be up and running in less than half an hour! The ARK Deployer is the perfect solution for anyone who wants to create a custom blockchain based on ARK technology stack — for any reason. Whether it is for learning purposes, a commercial application, hackathons, or meetups, the Deployer is your answer for fast and simple blockchain creation. The new version is no longer limited to just a single new Bridgechain network. The Deployer now creates new config files for the Mainnet, Devnet, and Testnet networks, giving you full environment setup for custom bridgechain development. This provides you or your team a solid base blockchain environment for your new project/idea/business, enabling your team to focus on application development while your bridgechain is already running. Deployer launches your blockchain with pre-configured ARK blockchain parameters that can be adjusted to fit your custom needs. Everything is configurable including the number of delegates, block times, rewards, fees, and much more.